Badge vector image of a precious object or relic. 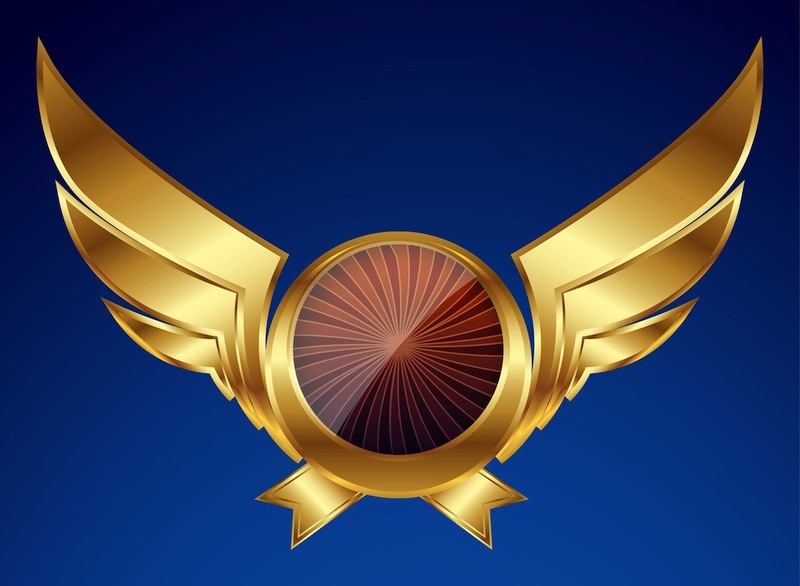 Golden piece with decorative wings on both sides and text space for your logo or message. Circle with starburst design in the center. Free vector image for jewelry, precious objects, relics, magical items and brooches designs. Download golden badge design to create logos, promotions, advertising, branding, web icons, banners and decorations. Tags: Brooch, Circle, Gold, Precious Metal, Starburst, Wings.